Honda Civic Saloon Performance, Engine, Ride, Handling | What Car? Drive the hatchback and saloon back to back and it doesn’t take many miles to feel the marked difference between the two cars. Over a typically undulating and pockmarked B-road, the saloon smoothes out bumps far more convincingly. 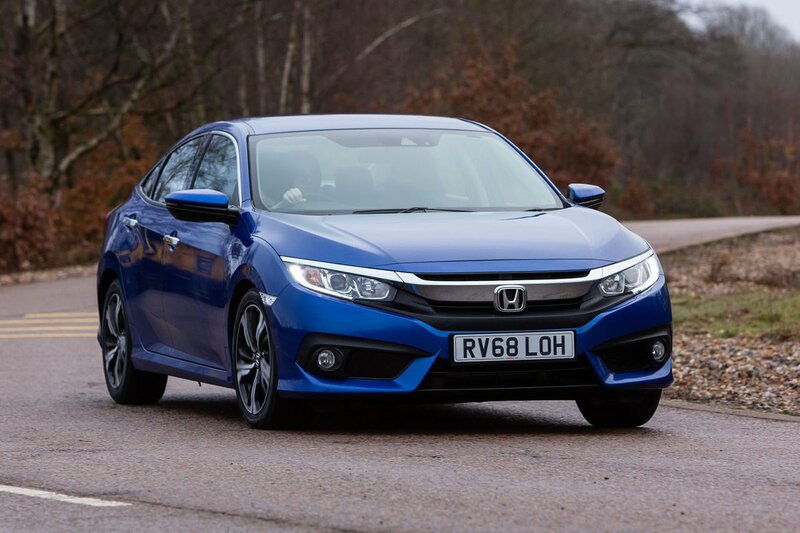 Hit a pothole or ridge and, where the hatchback thuds noticeably, there’s much less of a fuss in the saloon. That’s not to say the saloon acts like an over-full walrus in corners; there’s barely any more body lean than you’ll experience in the hatch, and it still grips the road tenaciously. 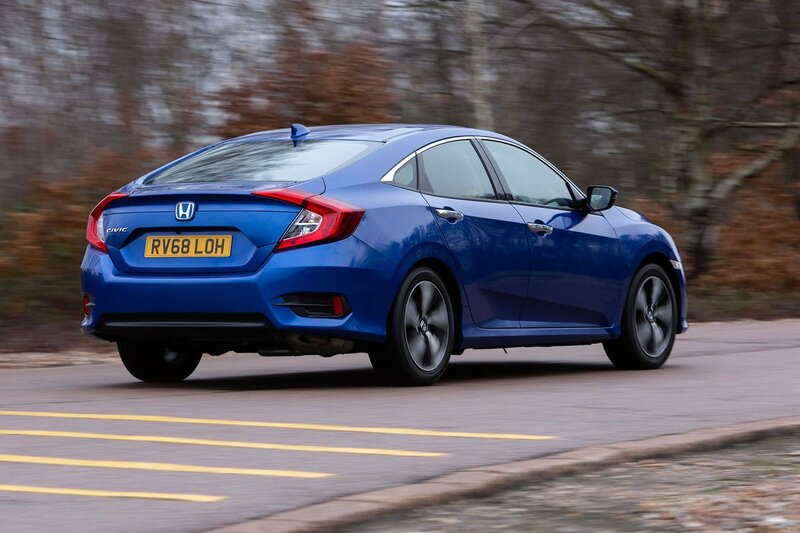 Accurate steering makes it easy to place the Civic’s nose where you want on the road, too, although we’d prefer it to weight up a little more when you’re cornering quickly. Yes, the hatchback does feel a little sharper when you’re cornering with gusto, but we’d argue the saloon’s additional comfort makes it more appealing most of the time. The six-speed manual gearbox has a short, positive action that’s enjoyable to use. If you prefer not to change gear yourself, a nine-speed automatic is available on the diesel and a CVT auto on the petrol. We tried the 9-speed auto in a hatchback and found it impressively smooth and responsiveness. Whichever you choose a manual or automatic gearbox, the 118bhp diesel feels adequately powerful. It has enough poke to get you up to motorway speeds briskly enough, but needs to be worked pretty hard to get the most out of it. Fortunately, when pushed like this, the diesel proves quieter than that of the Ford Focus, if not as hushed as the Volkswagen Golf’s. Even so, we’d suggest petrol power is the wisest choice for all but high mileage and company car drivers. Indeed, the 124bhp 1.0-litre petrol engine is all most drivers will really need; it delivers perfectly adequate acceleration from low revs and will complete the 0-60mph dash in a respectable 10.7sec. 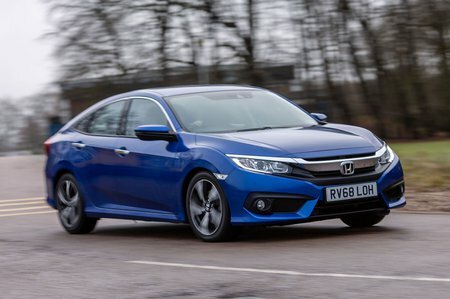 However, despite having more power than equivalent 1.0-litre versions of the Volkswagen Golf and Audi A3, the heavier Civic is actually slightly slower than those rivals. Unlike the hatchback, you can’t have the 1.5-litre petrol, nor is there a ferociously fast Type R version. While the 1.0 petrol engine is a reasonably strong performer, it isn't as refined as we'd like; it's a bit raucous when you work it hard and sends a few too many vibrations through the soles of your feet. Put simply, 1.0-litre versions of the Golf and A3 are noticeably smoother and quieter. Road and wind noise at motorway speeds is noticeable, too. There isn't enough to really annoy, but the rival Golf and Focus are considerably more peaceful cruisers.